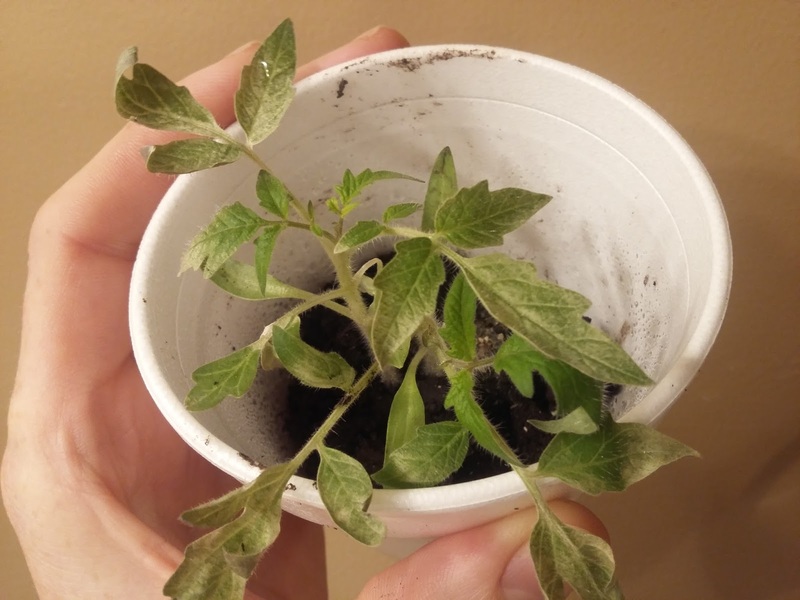 For some strange reason, I have not yet experienced my tomato plants getting burned by the sun’s ultraviolet rays – until now. I grew dozens of tomato plants in soil blocks that were starting to grow out of their indoor lighting area, so I decided to start exposing them to outdoor sun. Notice the outside leaves are all burned. The outer leaves are done for. After putting them out for a full day in full sun (which they had never had) I neglected to inspect the plants to see how they had fared. By the end of the second day out in the sun, the results were pretty dramatic. Hopefully, I have not lost too many of my tomato plants. If so, hopefully I have learned something from my lack of hardening off. This tomato plant looked pretty good before getting burned. Hardening off is something that individuals do when they start transplants indoors and they want to plant them out in their garden. 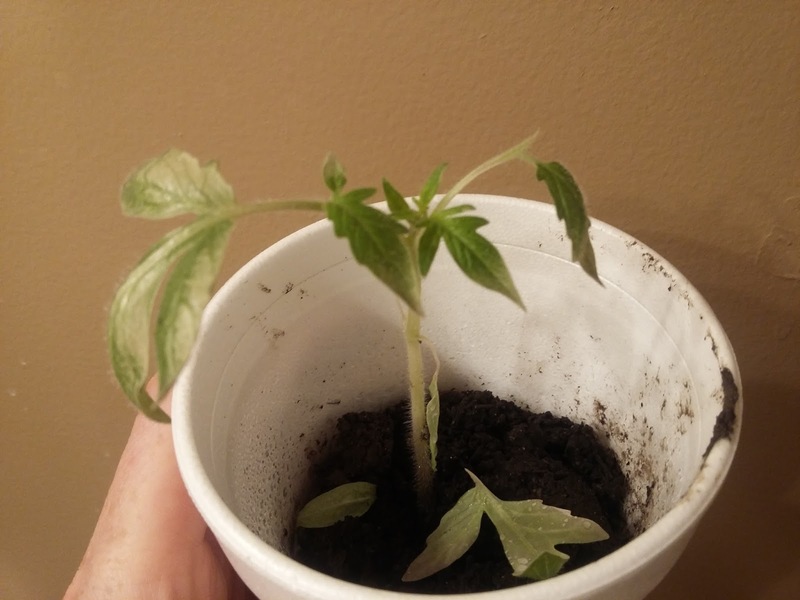 In order to harden transplants off properly, you are supposed to slowly increase the exposure that the plants receive from the sun from 3 hours to 4 hours, to 5 hours and on – slowly increasing the number of hours that the transplants have out in the sun each day until they can be left outside all day. By doing this, gardeners can keep from having their tomato plants baked like mine were. It seems that those who do not learn from those with experience will be forced to learn from experience themselves.